Get ready to go on an adventure of a lifetime and get lost in the adventure of Lost, a slot game that takes place in Egypt. Lost is a slot game that has you go on a journey with the protagonist Dacota Bones, a very ambitious explorer with his sidekick Farooq and pet monkey, as they travel the dark tombs looking for treasure. You'll love the visuals of the game as it shows you the many places Dacota and Farooq must go through for treasures. From creepy tombs to shiny rooms, this free slots online casino game gives you awesome visuals coupled with sound. It's an adventurous slot game indeed. 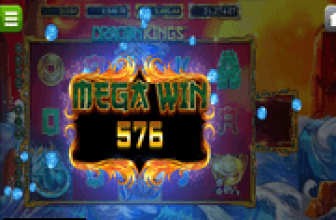 Gameplay in this 5 reel, 30-payline slot game is solid. You can bet up to $0.50 and since you have many paylines to try, you have the options you'll need to make your desired bets. 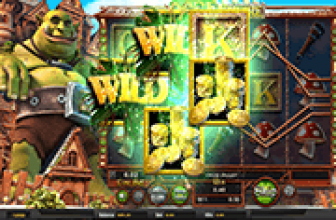 The bonuses in this game are appealing — you can do re-spins with increasing multipliers, the scatter and wild symbols offer attractive bonuses and the bonus round lets you have all sorts of prizes that will help you win more. So what are you waiting for? Join Dacota and his companions as they travel through the tombs to find the best treasure around. Just hope they don't get Lost. Players who are fans of the ancient Egyptian culture and the civilization of the king Pharaohs will certainly appreciate this game. This game invites online players to go on a very exciting and a rewarding adventure into the mysterious world of crypts and pharaohs. These pharaohs were known for being buried with golden treasures and this game will enable players to tap into these treasures. This game is powered by one of the leading names in the industry that powers numerous online casinos such as Mr. Green Casino, Betsoft Gaming. The video slot has five reels and thirty lines. These reels and lines are presented to players in wonderful 3D graphics that can be animated when they become a part of a combination of symbols that earns a payout. These symbols include numerous symbols that are inspired by the Egyptian culture and the pharaohs. This includes a pharaoh himself, the explorer, an Egyptian eye, a casket made of gold, a staff and other Egyptian symbols. Players will also see the explorer and a golden Pharaoh casket on the two sides of the game’s reels. The game is filled with interesting and entertaining features and bonus rounds. 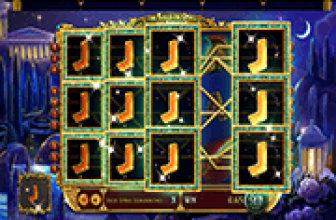 These unique symbols and rounds enable players to enjoy a very lucrative video slot gambling experience. There is a feature that is called the Mummy’s Tomb Bonus. The lucky players who are able to get 4 Egyptian Eyes on the reels of the video slot will successfully initiate this bonus. In this bonus, players will see 3 doors and they will be asked to choose one of these doors in order to claim a prize. Behind two of these three doors, there are a vengeful mummy who is out there to kill players, so players might choose carefully so they can earn a cash prize instead of getting killed.